Posted by Jon in Review, Takara, Transformers with 0 comments. I’ve been shying away from the Generations-like Transformer lines to focus on strictly Masterpiece of late. I just find that sometimes I like the idea of having some of those characters, but they quickly find their way out of the display, then into a box, and mostly forgotten after that. Especially if a figure ends up with a Masterpiece equivalent. 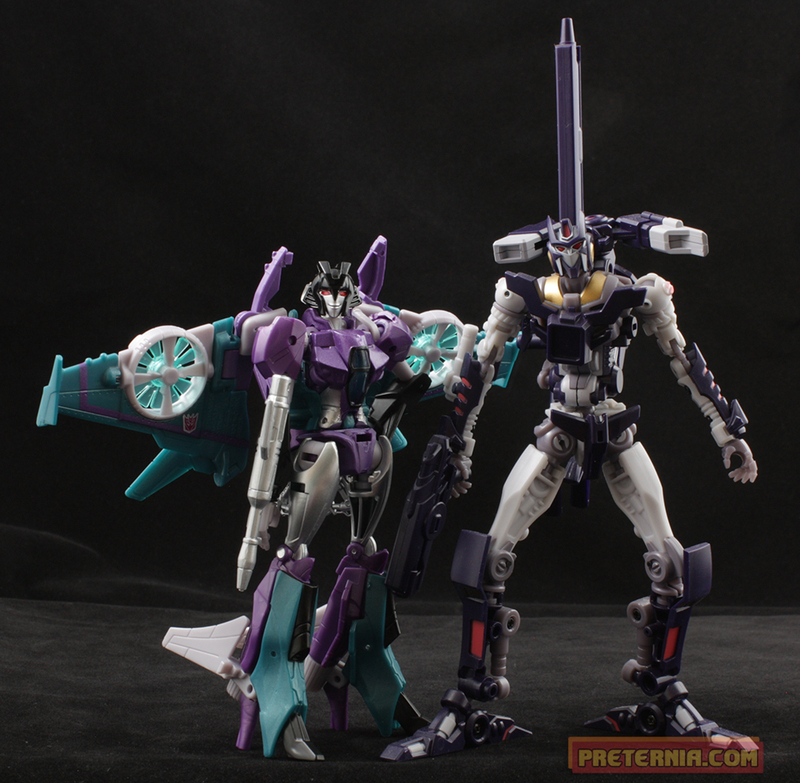 With all that said, about six months ago Takara announced a trio of female robots retooled from some recent releases: LG 15 Nightbird Shadow, LG 16 Slipstream, and LG 17 Blackarachnia. I should correct myself, Blackarachnia is a slightly older mold as the height is a dead giveaway. 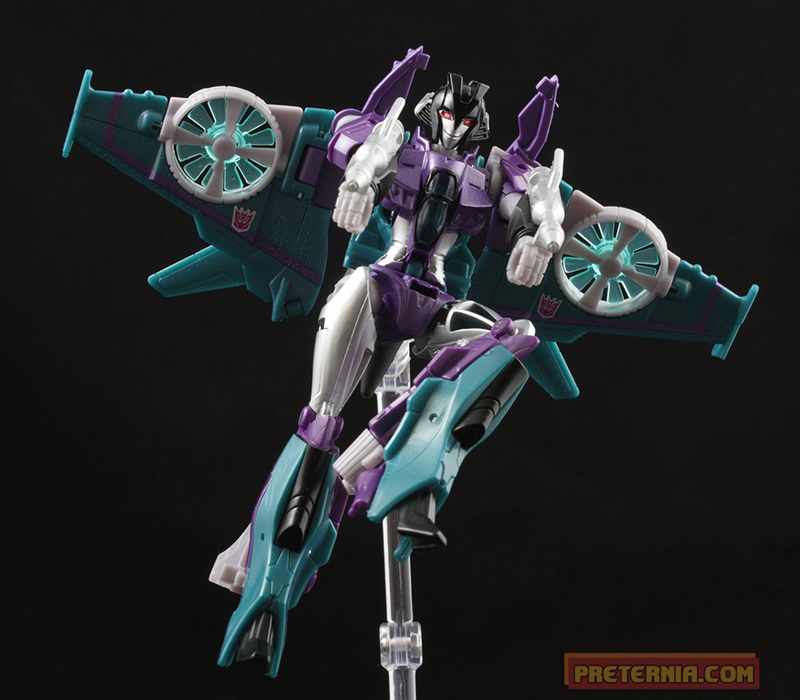 Nightbird uses the new Arcee body and Slipstream is a retooling and repaint of Windblade. This is my first time with the Windblade mold and I like it quite a bit. No, I did not buy Windblade (I did grab an Iron Factory Legends scale “Windsaber” and she’s super cool). I had planned on purchasing her but put it off long enough that the Takara version sold out. I didn’t really actively pursue her after that. I think that if I came upon her and the price was right I’ll probably grab her, but she isn’t a giant priority of mine. Slipstream and the rest of her friends’ preorders hit me at a good time when I had some cash to throw around. It also helps that they are all Decepticons, I love filling their ranks in more and more. Slipstream’s metallic purple, silver, and teal color scheme is quite gorgeous. As can be expected, Takara really knocks it out of the park with their paint detail and color choices. Having not owned this mold before I’m pretty happy with it overall. I had heard that one of the biggest complaints about the original Windblade was that she was very loose jointed. 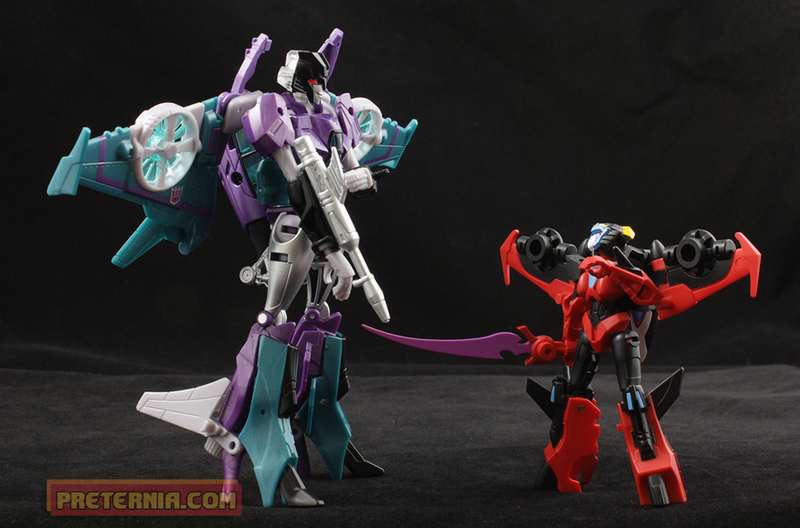 I don’t have one to compare, but Slipstream feels very tight all around. The only part I took real issue with was her heels in robot form. Trying to pose her can be slightly annoying because I kept pushing the heel back into the front of her foot. I wish they tabbed or there was something there to hold them into place. Other than that the joints feel great. I’m also pleasantly surprised she comes with something most Transformers of her scale do not: wrist swivels. Sure she has big dorky hands, but at least I’m able to move them around a bit when I pose her. 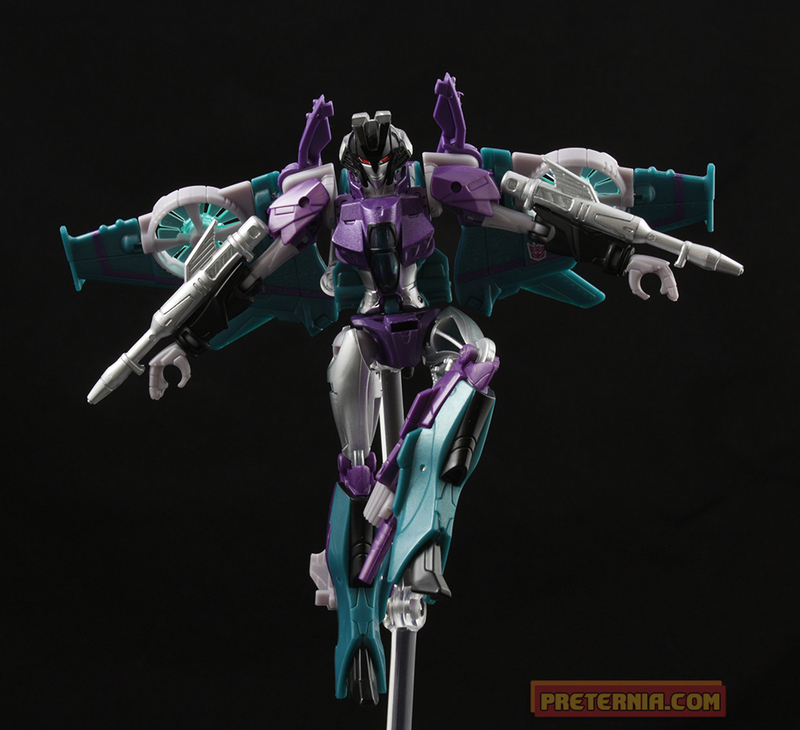 Slipstream comes with two guns that clip into her arm. On a related note, I can’t stress how much I adore the Takara packaging! I would love if domestic Transformers switched to a packaging of similar style. Everything is just so neatly done. The artwork is great. It just makes you feel good about your purchase, especially when you have to pay a little bit more to get the imports. Slipstream just came out in Japan and is working her way around the world as we speak. Surprisingly, Amazon doesn’t have a terrible price on her currently (you can do better, just keep your eyes open). I’m really enjoying her. The paint and color scheme is absolutely amazing, and she is easily my favorite of the three.